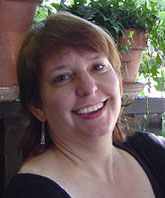 My name is Alison White, and I am an experienced music teacher available to teach adults, families and kids in the Bay Area. My teaching philosophy is that guitar, piano or voice lessons can help children in achieving goals, increasing their self esteem, and developing technical competence. Music lessons can also enhance self expression, fine motor coordination and be used for other therapeutic purposes. After an initial evaluation, each child will receive a custom music lesson plan. The plan will take into consideration their needs, abilities and musical goals. Contact me today! I look forward to getting started! In her original children’s album Let’s Love the Animals, Alison gets down and gets silly. Her energy and enthusiasm are infectious, and Kids can’t resist joining in and playing along with these whimsical tunes about animals and how they enrich our lives! Based on what we already know about the ways that music helps shape the brain, it suggests that short term music lessons may enhance life-long listening and learning. Musical training heightens people’s abilities to pick out specific sounds /a harmony or melody, a voice in a crowd. This ability makes us more adept at learning languages. Musical training enhances kids’ brains. Music lessons have been shown to improve language skills, speech, memory, attention and even the understanding of vocal emotion.